Depending on the herd, lameness can have a profound effect on productivity, potentially rivaling economic losses due to mastitis. While a wide variety of factors will affect the economic loss associated with a particular case of lameness, only about 30% of losses are associated with treatment costs, with an additional 30% associated with decreased reproduction and 40% with decreased production and discarded milk. The cost of an average case of lameness has been variously estimated to range from approximately $200 to $400. One study suggests on U.S. that lameness costs averaged throughout a herd may range between $90 and $180 per cow per year. Economic losses typically start weeks to months before a case is recognized and continue for weeks to months after it is treated. For this reason the earlier a case is recognized and treated the less it will cost a producer. Lameness prevention programs, typically developed in collaboration with the herd veterinarian, can dramatically reduce both the incidence of the disease and the costs associated with lameness. While estimates of the component costs of lameness vary, roughly 40% of the cost of a case of lameness can be attributed to lost milk, while approximately 30% can be attributed to decreased conception and 30% due to costs related to treatment. One reason economic losses from decreased production and conception are so high is because losses typically start weeks to months before a case is recognized and continue weeks to months after it is treated. Using published research, including the costs of decreased production & decreased fertility and adjusting for inflation, an average case of lameness may easily cost a producer $400. Mild, easier-to-treat cases (heel warts) may cost perhaps $125 while a difficult sole ulcer may cost upwards of $600. Some initial estimates on commercial US herds suggest that losses may average between $90 and $180 of loss per cow per year, or costing an average 1000-cow herd in the neighborhood of 100 to 200 thousand dollars every year. Lame cows are more likely to be culled early with one study finding that lame cows were 8 times more likely to be culled early then non-lame cows. The NAHMS Dairy ’96 study reported that 15% of all dairy cows culled for slaughter were culled because of lameness or injury. Never the less, in the most comprehensive study on cost effectiveness of treatment found that it was economical to treat 97% of foot rot cases, 96% of heel warts and 92% of sole ulcers. The cows that don’t merit treatment and retention in the herd are most often those cows that are open and with low genetic value. 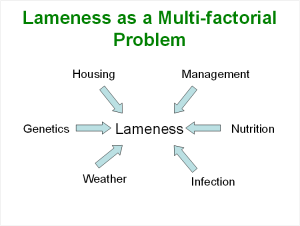 Lameness may be adversely affecting production without the producer being aware of it. 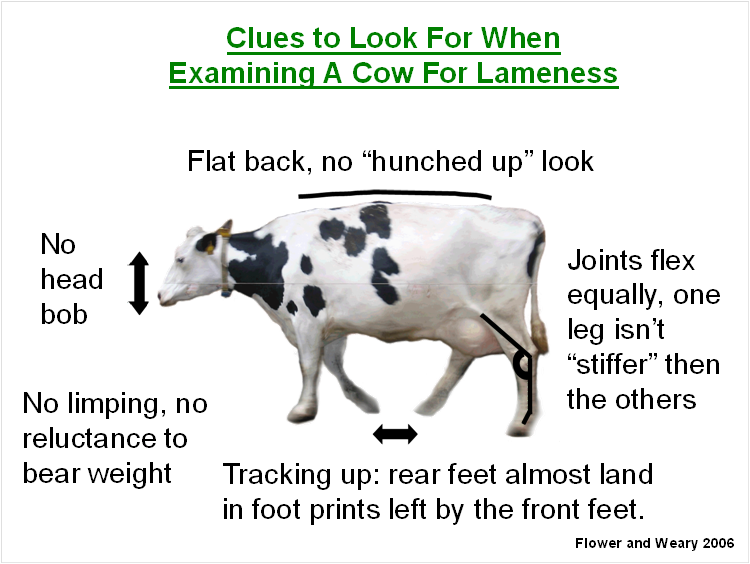 Cows can be in pain long before we detect the lameness. In one study, milk production was decreased for up to 4 months before lameness was diagnosed and up to 5 months after it was treated. The take Home Message: the earlier the employees detect and report a lameness, the sooner the cow can be treated, milk production restored and losses minimized. There are a variety of tools available to help train dairy employees to detect lameness. Preventing lameness in the first place, rather than treating it after it has occurred, will yield the greatest returns. The prevalence of lameness in dairy herds is highly variable and can range from less than 1% to more than 50% depending on the dairy. The graph below shows depicts the initial lameness prevalence in an intervention study involving 44 organic British dairy farms. Other studies have found similarly wide prevalence rates on farms. How much lameness is too much? A variety of benchmarks have been proposed or required in various programs. The Dairy F.A.R.M. program has a goal of 95% of adult cows having a score of “1” or “2” using a 3-point system. Validus benchmark is less than 5% of cows with a score greater or equal to “3” using a 5 point system. Regardless of the initial prevalence goal set by a producer, the important thing to remember is that every case of lameness is an economic drain for the dairy. 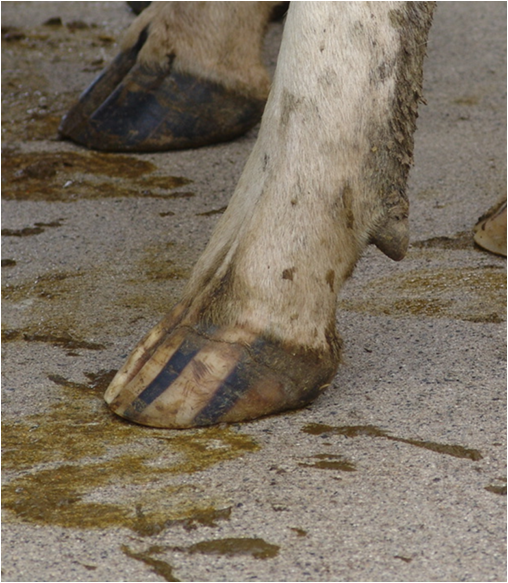 The economic losses associated with any particular case of lameness depends on numerous factors including the cause, severity and duration of the lameness, genetic value of the cow, treatment costs, decreased production, discarded milk, milk price, pregnancy status, decreased conception, early culling and heifer replacement costs. The first step in gauging economic losses due to lameness starts with estimating the frequency and severity of the disease on your facility. Your veterinarian can assist you with this by locomotion scoring a representative number of your milking and dry cows. Alternatively some producers have chosen to learn how to score their own cattle. One excellent place to start is Washington State University Cooperative Extension’s easy-to-use guidance on how to estimate herd lameness prevalence. There is more subjectivity associated with lameness detection then there is in say measuring the incidence of mastitis or reproductive failure. In a British study 53 dairy producers estimated on average that only about 6% of their cows were lame, while independent observes identified the average rate to be closer to 22%. This and other studies confirm research in which lameness recorded by independent, trained observers may be 2.5 times higher than the prevalence reported by producers. While the subject of locomotion scoring can be introduced using printed material, it is virtually impossible to become adept at the skill without seeing cows (or videos of cows) actually moving. Fortunately there are a number of on-line programs containing videos designed to assist producers and their employees in becoming proficient at locomotion scoring. The baseline lameness prevalence and severity data collected by the producer or veterinarian can be compared it to benchmarks in order to determine the magnitude of economic impact the dairy is experiencing. There are several academic papers and websites that offer calculators for economic losses due to lameness. Two nutritionists at the University of California, Davis have provided guidance on the use and interpretation of locomotion scoring data. Alternatively a widely recognized lameness economic calculator developed by Zinpro can be accessed online or ordered as free DVD. There is a wide range of predisposing causes including confinement on concrete, wet conditions, high energy rations with marginal fiber, poor lane condition, inadequate trimming or free stall management. Because different types of lameness may have different causes and predisposing factors, identification of the cause or causes or lameness is the first and most critical step in developing a lameness prevention program. Claw diseases, such as for instance sole ulcers and white line disease may be best addressed by improving the lane condition, installing rubber belting in the alleys and/or reviewing the cows ration. Conversely Footrot and Foot warts may be best addressed by improving hygiene and reducing moisture in the cow areas and implementing a foot bath program. More than 90% of dairy cow lameness is located in the foot, rather than further up the leg. Of those cases in the foot, most involve the rear feet, particularly the outside claw, probably because of more variable weight bearing in that toe. One of the best resources describing the cause, treatment and prevention of the most common types of dairy lameness are the American Association of Bovine Practitioners (AABP) Lameness Fact Sheets. These Fact Sheets can be downloaded from Tab 11 in the CDQAP’s Animal Care – FARM Resource Binder . Your veterinarian can conduct a herd lameness investigation to determine both the prevalence and types of lameness conditions present and management or environmental factors which may be predisposing the herd to the disease. Treatment Protocols– As discussed above your veterinarian can help you determine the most common and most costly causes of lameness in your herd and help develop treatment and prevention protocols specific for them. 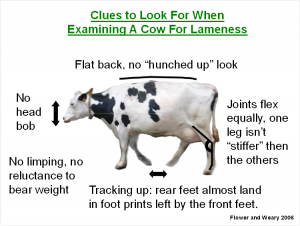 Employee Training– It will be important to train your employees how to recognize and report cases of lameness promptly. Your veterinarian can also help train those employee’s responsible for treating routine cases using the farms treatment protocols. Hoof Trimming– Most cattle will benefit from trimming 1 to 2 times per year. For producers who are considering implementing a hoof trimming program or evaluating an existing one, the American Association of Bovine Practitioners (AABP) has a hoof trimming guidance fact sheet. Mitigating Mud– A major predisposing factor for lameness is wet, muddy conditions, particularly in corrals. Most cow pens can be kept in excellent condition with basic maintenance during the dry season. 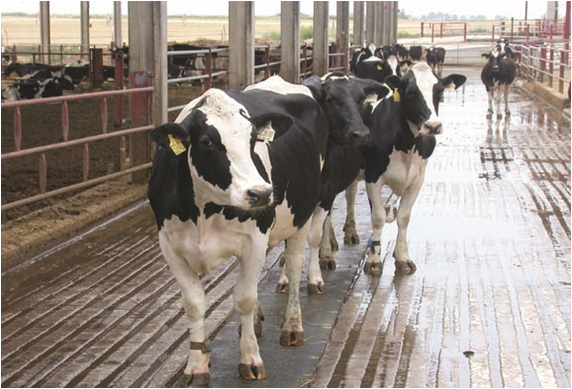 CDQAP has a primer addressing the economic costs of and prevention of mud on dairies. Nutrition Review – Balancing high-concentrate diets rations to meet production targets while minimizing adverse health effects (such as laminitis) is something of a tightrope. A cooperative extension article does a good job reviewing factors to consider when developing a ration for high producing cows. Foot baths– Foot baths are a frequently used tool to manage lameness caused by infectious agents, particularly Digital Dermatitis, also called Hairy Heel Warts. Zinpro offers a fact sheet on implementing a foot bath program. The wide variety of stock and proprietary solutions, treatment frequency recommendations and results of efficacy studies can be enormously confusing. Dr. Dale Moore from Washington State has reviewed the available scientific literature comparing efficacy of foot bath solutions. The review found that solutions containing either copper sulfate or formalin were the treatments demonstrating the greatest efficacy in clinical trials. 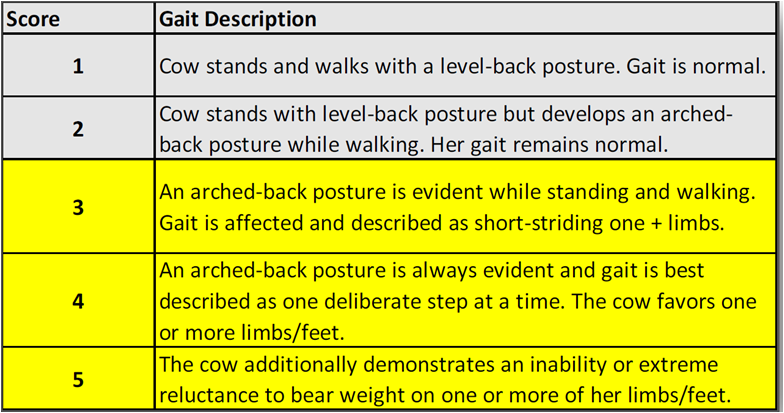 Cow Comfort & Walking Surfaces– If cows aren’t laying down ruminating for a minimum of 12 hours then they are standing or walking putting added stress on the ligament and horn structures of the hoof. It is important to maximize cow comfort laying areas and keep cows locked up for as short a period as possible. This is particularly important in the cow’s transition period 2 to 4 weeks before calving and 2 to 4 weeks afterwards. 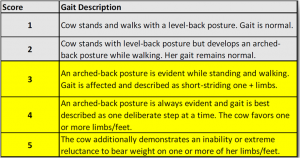 AABP has an excellent fact sheet on cow comfort and lameness and Cornell’s Cooperative Extension office has an excellent Cow Comfort Assessment Tool. Cornell also provides highly detailed information on flooring options. 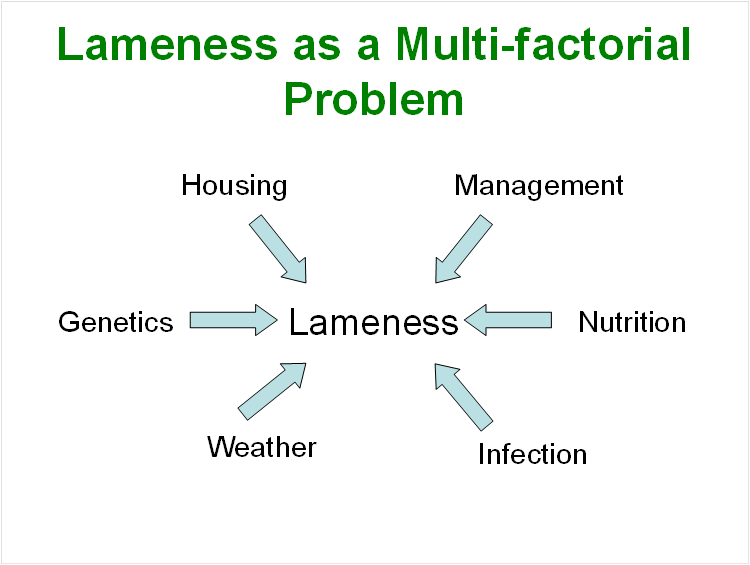 Perhaps however the most important part of any lameness control program however is shift in attitude by management and employees that lameness is a largely preventable disease, is robbing profits and that lame cows need to be identified and treated as soon as promptly. This website developed by cattle veterinarians contains numerous fact sheets, worksheets and calculators. Particularly useful is description and pictures of various hoof lesions. This website contains not only video training for recognizing lameness and scoring locomotion but additional information on claw lesion identification and hoof trimming fundamentals. This is an excellent introductory article on lameness provided by the largest Cooperative Extension website in the nation. The paper surveys a wide variety of dairy lameness related subjects including anatomy, laminitis, nutrition and housing. At 70 pages long and liberally enhanced with color photographs, this booklet is an extensive resource covering a variety of topics including lameness economics, hoof anatomy environmental factors and treatment and prevention programs. This article by Dr. David Van Meter of Colorado State University, heavily augmented with pictures, describes basic rules of thumb to assist in making decisions on treatment and culling.